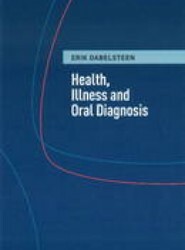 This textbook is based on the curricula for dental students in the Nordic countries, and the authors teach the subject at three universities in Denmark, Norway and Sweden. Although primarily for undergraduates, the book may also appeal to Ph.D. students and general practitioners. In addition, dental assistants and trainees may find it a useful source of reference. The contents are based on general microbiology and immunology. 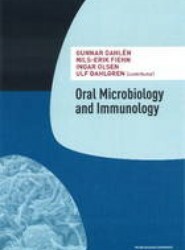 Oral microbiology is given particular attention, with examples relevant to oral infectious diseases. Each chapter opens with a relatively short pre-reading section, followed by a fact box containing most of the relevant basic definitions concerning the particular chapter. The body of the text is supplemented with more fact boxes and the essentials of each section are summarised in main points. It is the authors intention that each chapter should be read as a self contained unit. This has resulted in deliberate repetition and cross-reference within and between chapters. A short introduction to the principles of diagnostics in dentistry. Concepts of sickness and health are not absolutes but change over time and depend on location, and without a proper perception of this, it is difficult for the dentist to work in a meaningful way. The awareness must be focused and directed to a number of fundamental problems associated with diagnostics and the choice of treatment. The aim of this book is to promote and support this process. The focus of modern treatment approach of prosthodontics is biomimetic principles, which aim to preserve natural tooth tissues. Accordingly, adhesive solutions play an increasing role in fixed prosthodontics at the expense of more traditional methods.Preparations for Fixed Prosthodontics brings together the planning and performance of adhesive fixed prosthodontic treatment without ignoring traditional methods. The generous amount of simplified drawings and clinical images in the book will help the reader understand not only how to perform various types of prosthodontic restorations, but also why the preparations are designed the way they are. 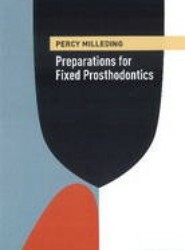 Preparations for Fixed Prosthodontics covers the need for a textbook within its field for dental students in all of Scandinavia. It will also give experienced dentists an opportunity to brush up their knowledge and practice of prosthodontics. 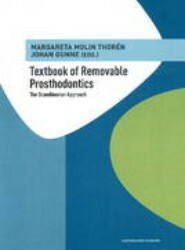 The aim of this book is to present the Scandinavian treatment philosophy of removable prosthodontics in which biology and function have priority over the more technical approach favoured by others. The Scandinavian treatment philosophy is largely based on periodontal and clinical prosthodontic research, which has demonstrated that the critical factor in tooth and abutment survival is establishing and maintaining good periodontal health by plaque control, not by trying to reduce or distribute widely mechanical loading. This textbook covers the need for dental students to acquire adequate knowledge and clinical skills within this field.